Did your Berber Carpet get a snag from the vacuum or a pet? That’s why you need to get expert berber carpet repair irvine. We will restore your berber carpet as good as new! Whether you have snags, dents, burns or stains in your Berber carpet, repairing it is what we do and we will save you a lot of money. Let the Creative Carpet Repair Irvine team help you put your Berber carpet in shape. 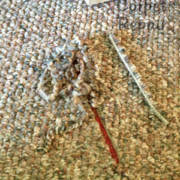 We have the right tools and expertise needed to repair your Berber carpet in a fast, easy and hassle-free manner. 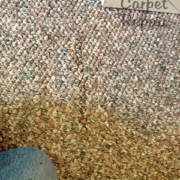 We will assess the damage done to your Berber carpet and then identify the right repairs that need to be done. We will then cut and patch up any carpet areas that need it and also trim, glue and seam so that it will stop unraveling. So, call us today for fast, same day berber carpet repair irvine at (800) 656-9862. 5★★★★★ – “I am generally not much of a review writer, but I wanted everyone to know….Creative Carpet Repair are nothing short of some amazing professionals!. Right off the bat, Creative Carpet Repair Irvine was very easy to communicate with! From the initial call and estimate/appointment scheduling, to the finished product, I was very impressed with how I was treated! They showed up when they said they would, and came fully prepared to the work i needed!. My technician even wore protective coverings on his boots to avoid damaging or dirtying my carpet, which we try to keep very clean! The technician repaired our berber carpet on 4 of our stairs that had not only become unsightly, but a possible trip hazard. With the extra carpet we had, not only did he do the repairs, you could barely tell there was ever a problem! The technician was both friendly and extremely helpful. He took the time to give us some pointers, in case we had any future issues! What a truly Professional and quality organization! I would definitely call them again, should the need ever arise! Thank you Creative Carpet Repair Irvine!